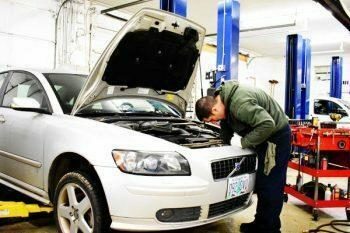 Steve’s Imports is an auto repair shop specializing in the complete service and repair of every kind of import vehicle. Our customers love their import cars, and we do too. Instead of bringing your vehicle to a take-all-comers shop, bring it somewhere you know it’ll be in good hands. 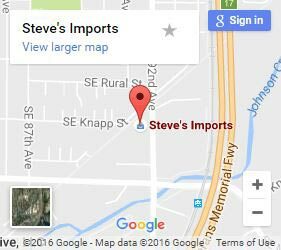 The team at Steve’s Imports gained its reputation by consistently offering full auto repair services for any kind of import. 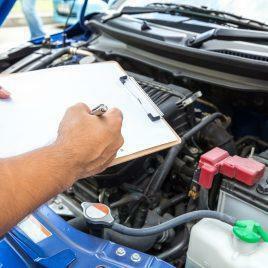 No matter what kind of maintenance, repairs or upgrades you need done, we are ready to get under the hood. Complete engine servicing and repair. Engine tuning and performance upgrades. Looking for an Engine Rebuild? The first phase of an engine rebuild is to flush the fluids and get it taken apart. There’s no getting around it, this part takes as much time as putting it back together. During this part, our team will be on the lookout for components that need fixing to get your motor to where it used to be. After everything’s been taken apart, we’ll clean up the components as best we can and replace parts that are past their prime. Many of our customers will use this opportunity to throw in a performance upgrade while some just want everything restored to a pristine condition. After we’ve got everything clean, and our repairs and upgrades in hand, we’ll rewind the first step and get your motor back together. Most of this step will take place outside of the engine bay and after it’s back together, we’ll drop it back under the hood, remount it and reattach to your drivetrain. Steve’s Imports has been working on foreign cars for over 40 years. We’ve been at our location for over 20 years and you can still find Steve turning wrenching away on the floor beneath our original signage out front. No matter what you need done to your import car, our team is ready to get started. Our shop follows a simple model, don’t compromise on quality and focus on building relationships with our customers as much as we build engines. Part of our process is to take the steps to carefully explain what we find in our diagnostics, and keep the communication open throughout the entire process. For top-tier import auto repair, give a call to Steve’s Imports today.